Extreame Savings Item! Free Shipping Included! 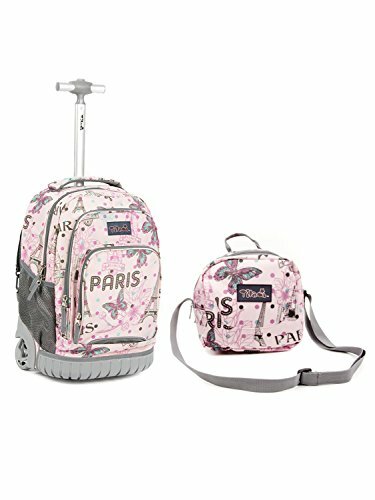 Save 44% on the Tilami New Antifouling Design 18 Inch Wheeled Rolling Backpack Luggage and Lunch Bag by Tilami at Time For Everything. MPN: TL0014H39. Hurry! Limited time offer. Offer valid only while supplies last. Material: polyester + Smooth Metal Zipper.Delicate workmanship.Waterproof and wearproof. Multicolor can chose. Tilami back CONCEALED POCKETS design makes the strape more durable, please put the strape into the back CONCEALED POCKETS when the wheels working!!! If you have any questions about this product by Tilami, contact us by completing and submitting the form below. If you are looking for a specif part number, please include it with your message.